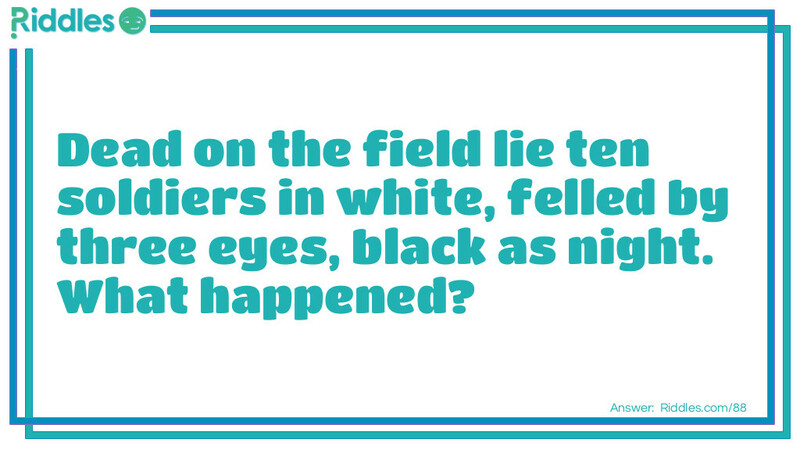 Dead on the field lie ten soldiers in white, felled by three eyes, black as night. What happened? Outside the Battlefield Riddle Meme with riddle and answer page link.